There are so many options when it comes to outfitting your best gals for the big day. 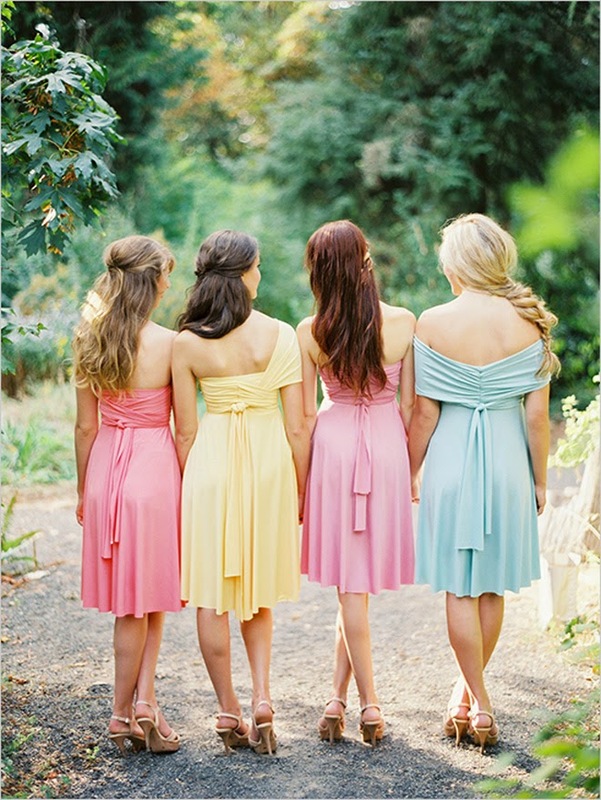 Some of my favorite bridesmaid dresses are the ever-so-versatile and ever-so-chic, convertible dresses. The convertible dress is designed to be wrapped in many different ways creating multiple styles to flatter all sizes and body types. 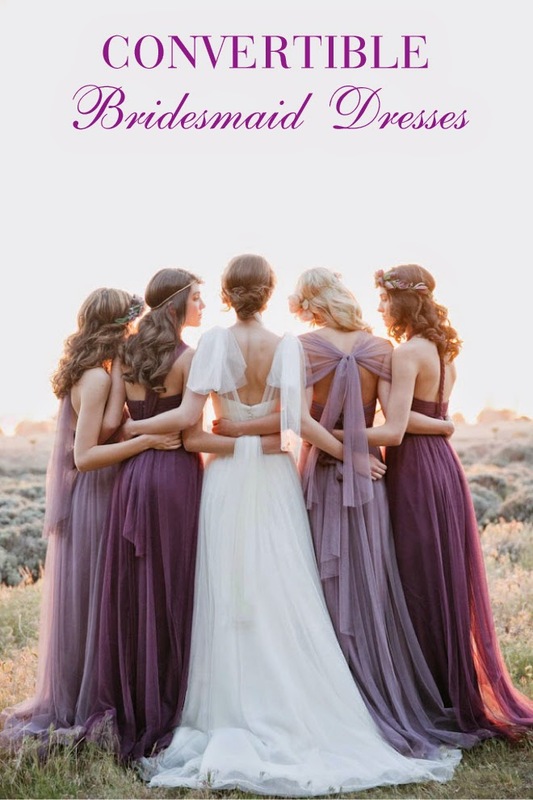 These dresses are the perfect choice if you want your ‘maids to look cohesive but still be able to show off a bit of personality. 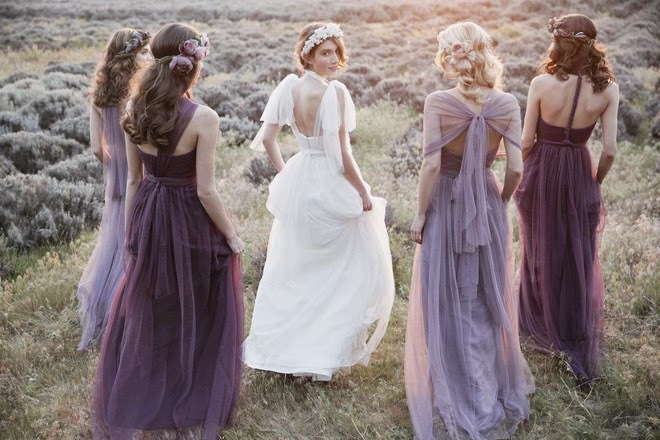 Your besties will be thrilled to personalize their dress the day of the wedding. The Aidan by Jenny Yoo features a twisted strapless bodice with a soft sweetheart neckline that would flatter any girl, an A-line floor length skirt perfect for any elegant and stylish soiree, and also features two convertible panels on the skirt that can create SIXTEEN alternate necklines and skirt details and it’s available in 18 colours! Goddess by Nature. Made from a stretchy, slinky jersey material with a slight sheen, the Goddess by Nature Multi-Wear Dress, which can be worn in over THIRTY ways and available in FORTY colours is the perfect convertible dress for your bridesmaids. Your girlfriends will have a field day over this gorgeous dress!